NoSQL database startups Membase and CouchOne have merged to create Couchbase, a company that will combine Membase’s memcached-based Membase Server and CouchOne’s CouchDB-based products into a best-of-breed family of NoSQL products. The move could be revolutionary in a space dominated by individual projects (and the companies commercializing them) that are really good at one or two specific things, but are not necessarily ideal up for all of a web application’s data needs. 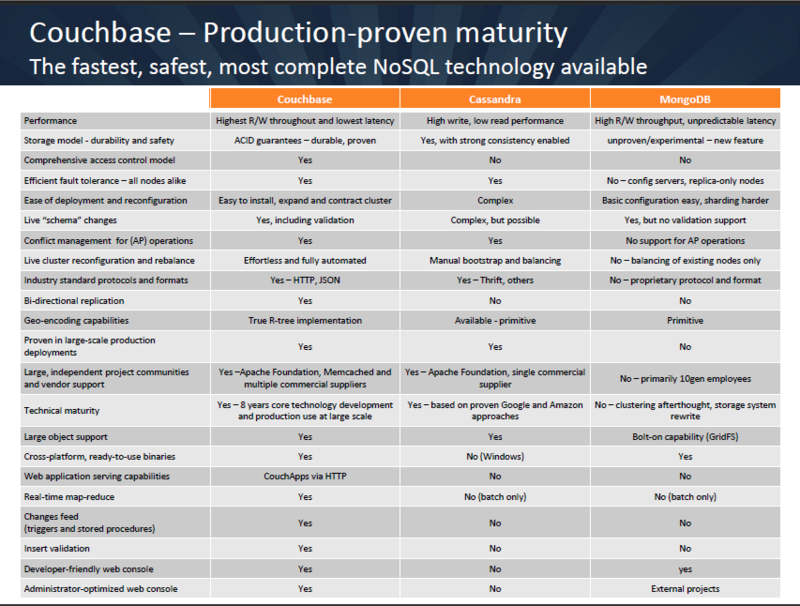 Other NoSQL vendors might need to broaden their scopes or forge strategic partnerships if they want to compete against what Couchbase has to offer. When I spoke with Membase Co-Founder James Phillips and CouchOne Co-Founder Damien Katz, the two emphasized the complementary nature of their products. Membase provides a scalable front-end caching component, while CouchOne provides a full-featured document database, combining to create what Phillips calls a “powerhouse” NoSQL offering that addresses both high-level and low-level needs. The companies’ user bases are a good fit, too, as Membase has a strong presence among large-scale web sites and gaming applications, while CouchOne has carved out a niche among mobile-application developers. Now, Phillips noted, Couchbase customers can feel confident in their abilities to serve both web and mobile application users from a single data platform. Elastic Couchbase [Membase Server]: Membase Server, to be renamed Elastic Couchbase in a forthcoming release, will combine Membase, memcached and CouchDB technology to provide high-performance caching, elastic clustering and document database features. It can effortlessly scale from a single server to a hundred-node cluster supporting an application with millions of concurrent users. Couchbase: A lightweight, non-clustered Couchbase edition appropriate for developers and smaller Couchbase production deployments. Mobile Couchbase: Initially focused on the iOS platform, Mobile Couchbase is a database embeddable into native iOS applications. Mobile Couchbase provides data management services to applications whether offline or online, and can be configured to automatically synchronize with other Couchbase instances when network connectivity is established. Hosted Couchbase: Hosted Couchbase is a quick and easy way to get started with Couchbase, and provides a ready-made cloud sync point for applications built using Mobile Couchbase. Membase CEO Bob Wiederhold will maintain CEO duties for the new company, and Katz will maintain the CTO role he held at CouchOne. Phillips added that further consolidation probably will be necessary if other NoSQL databases are to give Couchbase a run for its money, and I think he’s correct to a degree. At the least, other NoSQL vendors might be wise to establish strong strategic partners both with themselves and with companies in other areas of the broad data market in order to make users’ experiences as easy and as rich as possible. DataStax and 10gen are both doing just fine for themselves and are doing good work to advance their respective projects, but if 10gen CEO Dwight Merriman is correct that “[t]he NoSQL space is one space” and that “no one is going to use eight different tools for eight different problems,” then any success the seemingly promising Couchbase experiences because of its holistic product and partner approach will be to the detriment of its competitors. To hear more about NoSQL, particularly for handling big data, be sure to attend our upcoming Structure Big Data conference on March 23 in New York City, where 10gen CEO Dwight Merriman will be among the participants. 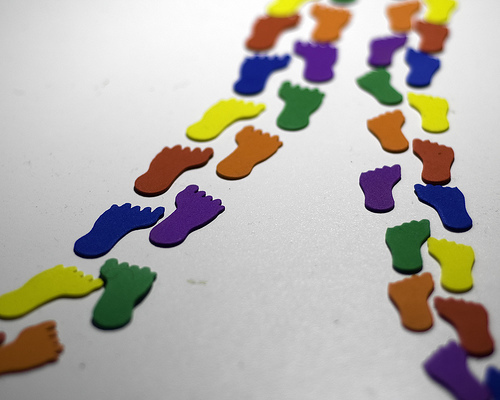 Footsteps image courtesy of Flickr user CarbonNYC. With Scalable Data Stores Around, Is NoSQL a Non-Starter? Wow. There is something that Dwight and I agree on. : ) Game way on. Sorry about that. It is fixed.